The incidence of Parkinson’s disease in the United States is estimated at 1 million, with an additional 50,000 patients being diagnosed every year. The most common signs of Parkinson’s disease are tremors, muscle rigidity, akinesia (temporary inability to move), dyskinesia (inability to execute specific voluntary movements at will) and loss of postural reflexes. The back posture becomes stooped, and the walk gradually turns to a shuffle as the arms stop swinging. Massage therapy can improve many PD symptoms and function, from the reduction of rigidity and improvement of sleep, to the reduction of tremor and increase of daily activity stamina symptoms. The underlying reduction in the neurotransmitter, dopamine, is the cause of many of the PD symptoms. Massage has been shown to have positive effect on the release of neurotransmitters, enhancing their calming influence. Use Caution in areas with loss of sensation, light touch is best. Be Careful getting on and off the massage table, balance issues may cause risk of falling. Your therapist should take a complete health history, including a thorough list of treatments and side effects such as neuropathy, rigidity and skin problems. But your therapist should also ask about other conditions or injuries you may have. You and your therapist should agree on goals for the session, and you should have a chance to explain your preferences for pressure, and the massage environment such as temperature, music, lighting, etc. Disrobing: Massage can be done over your clothing (without oil) if your balance is an issue, and it’s too much trouble to dress and undress. If you decide to disrobe and you are concerned about falling, you can bring an aide with you, or ask your therapist for help. During the massage, you will always be kept covered, observing your modesty and keeping you warm. Don’t hesitate to request that your therapist, or someone else help you on and off the massage table. Position and Turning over: Some people have trouble turning over due to rigid or weak muscles. If you feel like a fish out of water lying on your stomach, just ask your therapist to work with you lying on your side instead. In this position your therapist still has good access to massage your back muscles, and you won’t feel helpless or confined. Check with your city or state to find out what the basic requirements are for massage therapists. Get a few names and numbers and start calling. Your interview should include questions about training and experience in general practice, and also experience with clients like you. Ask about office environment and policies. Choose a practitioner that has extra training and experience working with cancer patients. A more complicated health history indicates that the therapist’s expertise is more important. Also, in some cases it is best to get your doctor’s approval. Most of all, massage should never hurt, and if it does, you should say something. A conscientious massage therapist will constantly seek your feedback during the massage to make sure that the treatment is within your comfort zone the entire time. If you don’t feel that your feedback or concerns are (or will be) addressed, you’re not in the right place. What better way to show you are dedicated to giving this new life every advantage in the world than to arrange for a pregnancy massage from a specially certified therapist. Each session is designed to focus on the special needs of a mother-to-be as her body goes through the dramatic changes of the child-bearing year, which includes pregnancy, birth, and post-delivery. Massage provides a nurturing touch, which in turn, nurtures the life of your unborn child. A woman’s body changes a great deal over nine months. Her weight increases, her breasts change, her blood pressure elevates, organs are compressed and pushed up, and the muscles in her abdomen become stretched and strained. 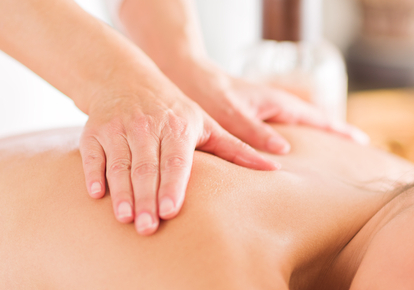 Massage can help relieve pressure and tensions created by these changes. Post-delivery/Postpartum massage addresses the mother’s stress of carrying and caring for a newborn, speeds recovery and relieves sore muscles. The childbearing year includes not only the three trimesters of pregnancy, but also during labor, and three months after delivery. After delivery, a new mother must gradually regain her postural strength and pre-pregnancy state of of fitness. Your therapist will give you stretches and exercise you can do at home to help your body get back to normal. How is pregnancy massage special? The mother-to-be is always carefully supported in several positions. When lying face-up, she is supported with the back lifted, to provide comfort and maximum circulation to the legs and the fetus. While in a side-lying position, special pregnancy pillows support the stomach, which allows the therapists to massage the back and hips. The belly is NEVER compressed by lying face down, nor is the belly left hanging through a hole in the massage table. These methods are less than ideal for the mother’s body and for fetal circulation. If you are in a “High Risk Maternity” category, or having any complications, you may still be able to have a massage, but you should definitely get medical clearance first. You should also call your therapist before your appointment to make sure they have a good understanding of what it takes to keep you safe and comfortable. Most Certified or Licensed massage therapists get instruction on working with Pregnant Mothers as part of their entry level massage education. However, there are additional classes available, and each therapist has varying levels of awareness and experience. We recommend finding a therapist that has an additional certification in Pregnancy or Prenatal Massage. Don’t be afraid to ask questions about the therapist qualifications, and what they’re going to do during the massage. While you’re receiving massage, continue to ask questions as they come up. If at any time during the massage it feels worse than a “hurts good” sensation, then it’s too much, and you should speak up. Your therapist should never encourage you to suffer through anything you don’t like during a session. The Medical Fitness Network can help you find a reliable, educated massage practitioner in your area to help you ease your pain, improve range of motion and reduce muscle tension. Let massage touch your life and add to your health and well-being! Many people with Fibromyalgia (FM) enjoy the benefits of regular massages for pain, muscle soreness stress and improved sleep quality. Learn how Massage can be beneficial for Cancer patients and survivors, whether 20 years in remission, or in active treatment, and the safety considerations for each. Diabetes, both Type 1 and Type 2, are chronic metabolic diseases that require medical management. Type 2 diabetes is more common and it is estimated that 1-in-3 children born in the U.S. today will develop Type 2 diabetes during their lifetime. Fortunately, the treatment options and knowledge base is growing every day. Most people are looking for ways to enhance their healthy lifestyle. Receiving massage therapy can be one way of taking control, and nurturing your body, encouraging health and balance, and reducing symptoms and side effects naturally. 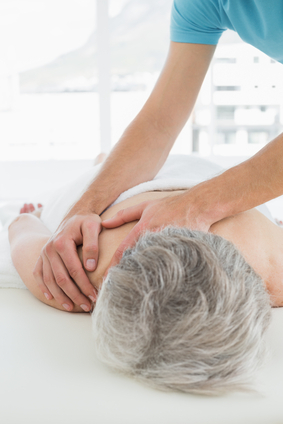 Many people with heart disease can greatly benefit from receiving massage. The main benefit is stress reduction, which in turn can help mitigate complications of heart disease.